Companion planting began as a simple way for Ancient civilizations to improve their crop harvests by planting two or more different plants next to or near the plants they were growing. When the organic gardening movement took hold in the 1970s, companion planting reemerged as a viable way to eliminate the use of herbicides to kill weeds, pesticides to kill pests, and insecticides to kill predatory insects. 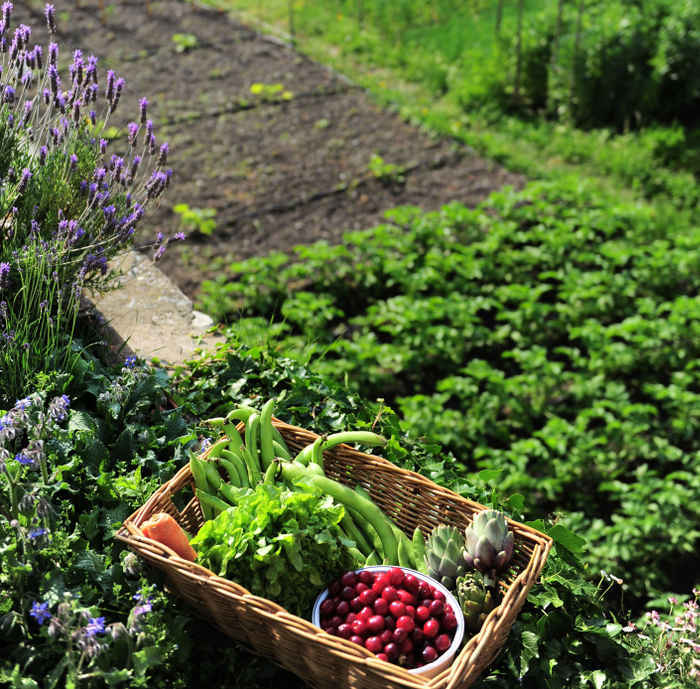 The concept of companion planting is not a new phenomenon. The ancient Romans learned about it along with allelopathy, which helped them discover what plants added beneficial goodies or took needed nutrients away from the grape vines they grew for making wine. Over 1,000 years ago, if not longer, Chinese farmers used companion planting when they discovered that planting mosquito ferns near their rice crops because of their ability to fix nitrogen, and to block plants that might steal precious sunlight from the rice crops. Companion planting involves using plants (herbs, flowers, other vegetables, or green plants) to benefit farm vegetables, hoping this natural and sustainable practice in farm planning will help the growing plants and ultimately help every small farm in the harvest(ing) of their farm vegetable crop so their dream of market farming can continue. Climate companionship is best described as planting crops that fulfill the climate needs of nearby and neighboring plants. An example of climate companion planting involves using taller sun-loving plants to protect plants that do best in shade or young seedlings that might not tolerate the intensely hot sun all day. This technique lets farmers free up greenhouse resources and take advantage of every inch of available growing space on their land. The concept behind this kind of companion is quite simple. The trappers should attract insects and pests that would otherwise attack the plant that you want the trapper to protect. The role of trapping plants is to serve as a decoy and to prevent harmful insects and pests from wreaking havoc on the farm vegetable crop you’re growing. Nitrogen is a vital plant nutrient, and although it’s present in modest amounts in the soil, vegetable crops rely on nitrogen fixation that some plants do through their ability to use nitrogen in its ammonia form (which it takes from the air) and convert the proteins and other nutrients into absorbable substances that help crops grow and thrive. Nitrogen fixation may be more difficult with hydroponics. Plants like beans, legumes, and peas are natural nitrogen fixers because they transform nitrogen from the atmosphere, into something that can be used by nearby vegetable plants. The practice of planting companions to lure beneficial insects is referred to as “habitat influence.” Companion plants attract beneficial insects so that those bugs can turn around and feed on bad, predatory and destructive pests and insects that would otherwise destroy the vegetable plants you want to protect. 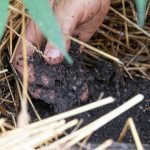 By using plants that will bring beneficial bugs to prevent harmful ones from wreaking havoc on growing crops, you eliminate the need to use chemical insecticides and pesticides, both of which create environmental hazards and can destroy the microbial balance of otherwise healthy and fertile soil. To take advantage of plant characteristics and to use those characteristics to your benefit by planting suitable companions together, you come out ahead in several ways. An obvious example of taking advantage of plant characteristics is the famous Three Sisters combination that dates back to indigenous people living in the Americas as long as 5,000 years ago. The designation “Three Sisters” refers to squash, corn, and beans. This combination not only takes advantage of every inch of available space; it uses the growth characteristics of each of these plants to the benefit of the others. Squash grows on vines that spread out over the surface of the ground. The squash plants create a ground cover that will suppress weed growth, maintain consistent soil temperature, and help keep moisture in the soil longer. The thick, sturdy corn stalks are self-supporting, but they eliminate the need to use supports for the bean vines that grow vertically. Beans help the other two crops because they provide critical nitrogen fixation that benefits the other farm crops. And simple practices like this can help a small farm develop better crop management practices. Most diseases, insects, pests, and other things that can wreak havoc on the health of vegetable crops are like people. They have personal preferences. Your planning and scheduling and overall production management practices are vital to the success of your harvest. Instead of planting all of one crop in one place, spread things around. A farm management app can help ensure that you spread crops around to minimize the chance that an insect attack will infest your entire crop or disease will kill your best selling vegetable.